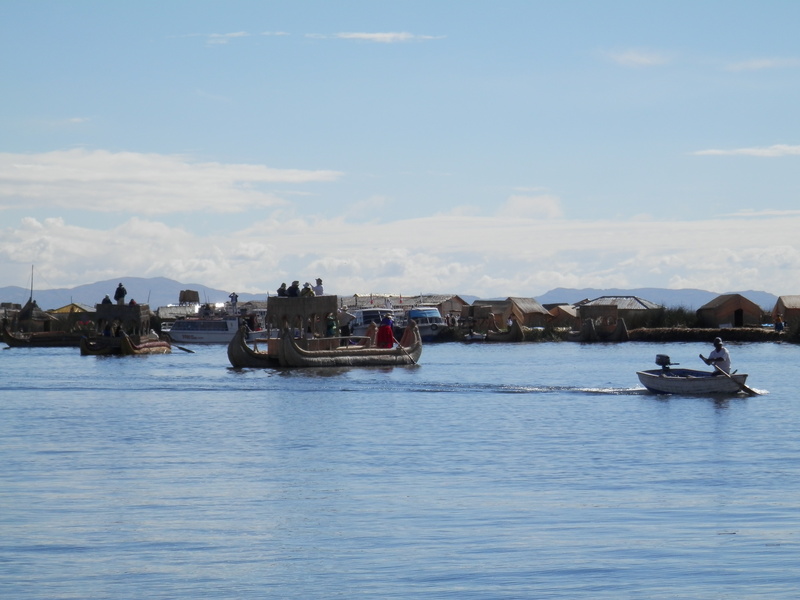 Puno, Peru´s folklore capital, is a small city located near the famous Lake Titicaca or TITIKAKA, showcasing Quechua customs and splendid views over the lake, it is a place not to miss in Peru. To get there you must fly from Lima to Juliaca in Peru. 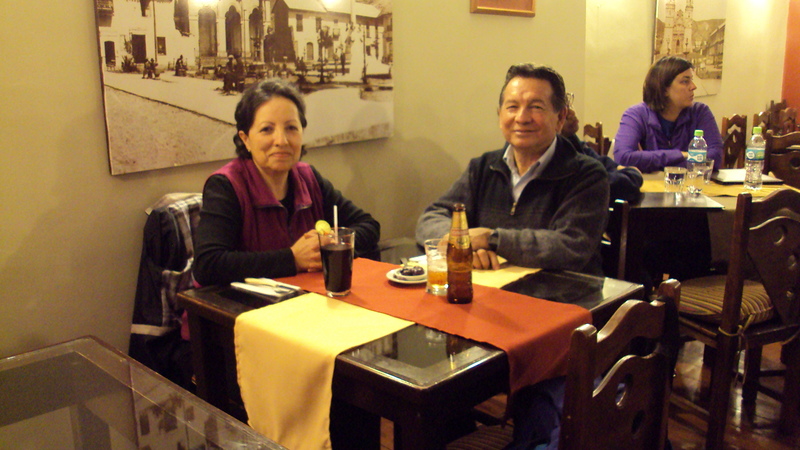 We have some great options of places to stay in Lima, to stay in Puno. or if you prefer you can stay in Juliaca. After traveling aprox. one hour, we arrived to the Inca Manco Capac International Airport in Juliaca. There we were recommended to take a van to the hotel. These vans take 10 passengers from Juliaca to Puno for a lower price than a taxi and they are very comfortable. At the hotel we received a warm welcome and a nice hot cup of tea made with Coca leaves to help us feel better with the altitude change. Candies made with Coca are also very useful. This was our second visit to Puno and this time we stayed at the Hotel Hacienda Plaza de Armas a well located and fine hotel. Lately I have grown fonder of AirBnB. I have written a full review, so find out What I love about AirBnB as a guest and as a host plus some good tips. Register in my link to get extra credit and find some great accommodation! After settling in at the hotel we took a walk around the Plaza de Armas and then Lima street where all the restaurants, stores and travel agencies are located. That night we had a delicious dinner at the hotel restaurant. The special dish was Alpaca meat in a red wine sauce with Quinoa risotto and baked vegetables. A great choice. 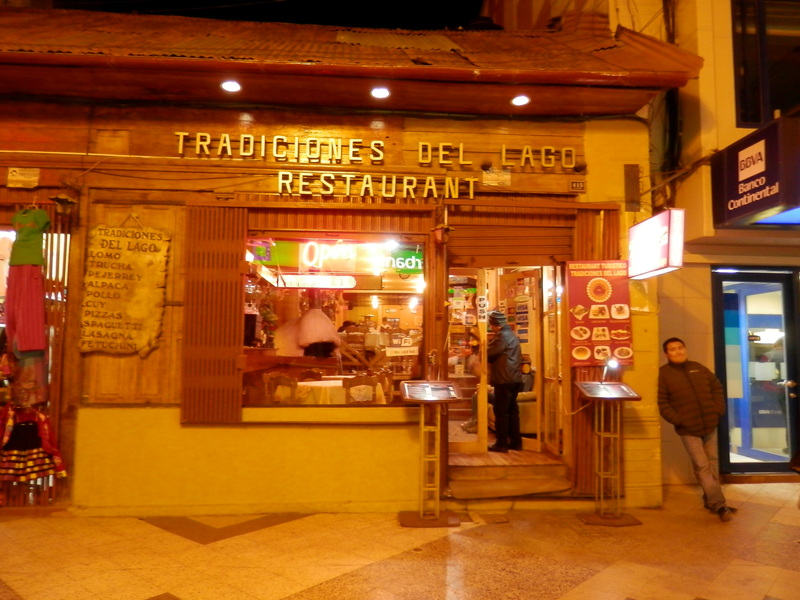 The next day we ate at the Tradiciones del Lago restaurant on Lima street. It has good food but the great surprise was a delicious sweet crème brule made with quinoa. 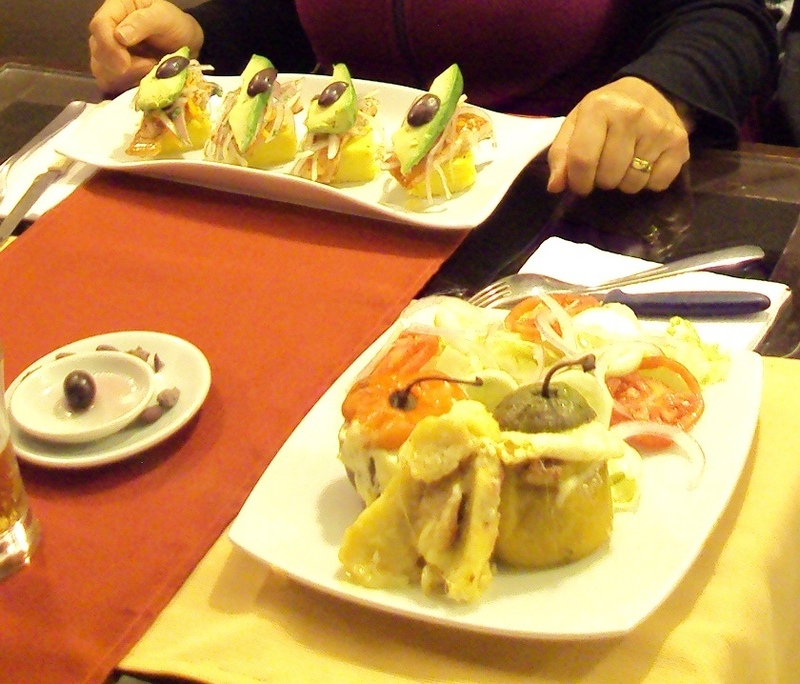 On the third day we had dinner at the Mojsa restaurant on the Plaza de Armas and the special dish was a Truchicausa. Mashed Potatoes with Trout filling and avocado and onions on top. The second great dish was a Rocoto pepper stuffed with meat and cheese. 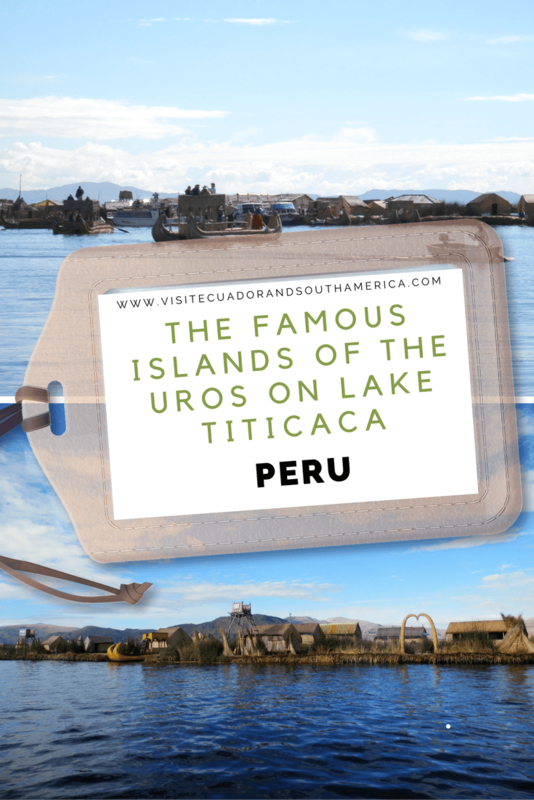 After asking in two or three travel agencies to compare options, we decided to take the tour to the Islas de los Uros (Floating Islands of the Uros), which takes half a day. 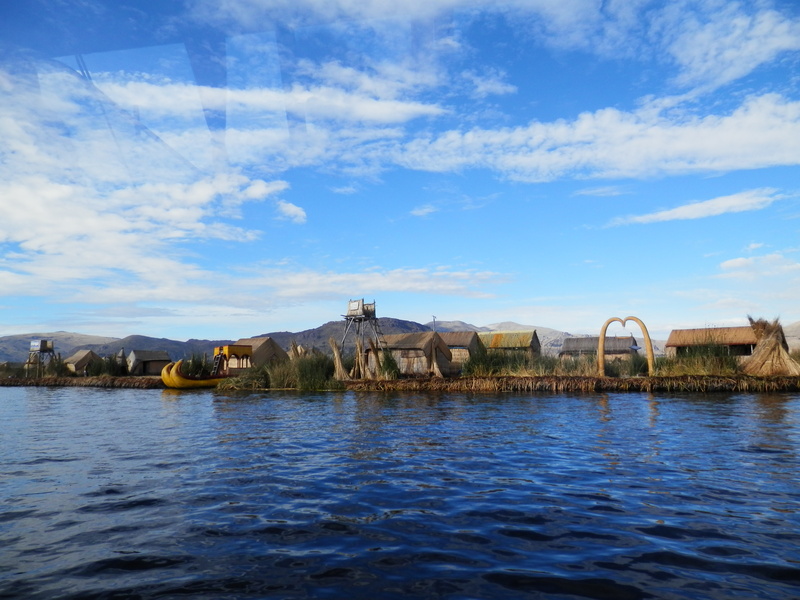 These islands are made with Totora reeds, which grow native in the lake. Their dense roots support the floor of the island which they replace by adding layer after layer regularly. These are the basic material for these floating islands. With this plant they also make the houses and boats and they also eat the fresh and younger plants. To get to the Island Santa Maria, our chosen island for the day, we traveled by boat for aprox one and a half hours. Here a group of women met us singing and welcoming the visitors. First they explain how the islands are made and what their traditions and way of life is. Furthermore, we were shown the handcrafts they make, which provides some of their income. 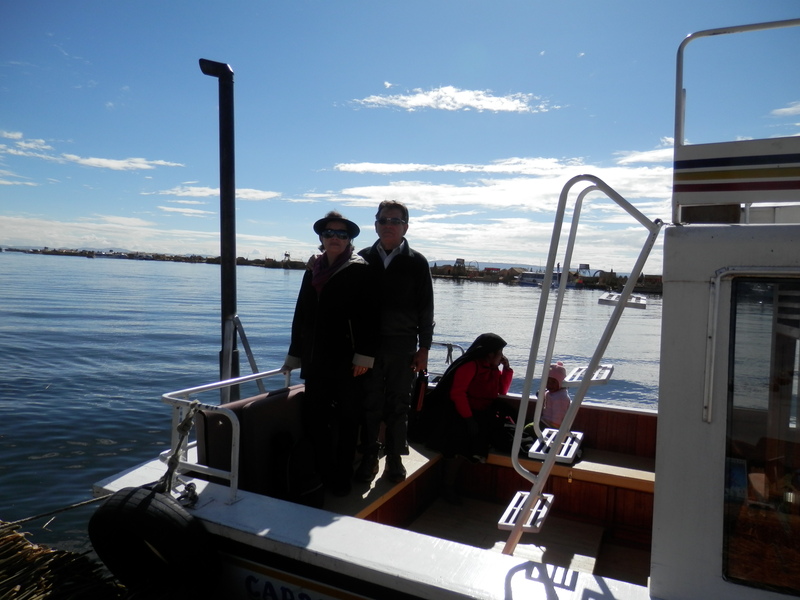 Some of us took their Totora boat from that floating Island to the main one called Tribuna, where the only school and church are located. Here we had a restaurant available with some basic snacks and beverages. When the children grow and need to study high school they do so in the city of Puno. The Uros speak Aymara and use their traditional clothing. To protect from the cold they use several layers of clothes. The Uro´s use various layers of wool bed covers when it is time to go to bed. This is definitely a place in Peru that you should try to visit, if your schedule and budget allows you to. If you are like me, you will probably want to know even more about Taquile and all places to visit in Peru. I highly recommend taking a look at the Lonely Planet Peru travel guide for more information.